Welcome to the first episode of 2017! Today I’m chatting with Brad Bernhart, a fellow Montana business owner and craftsman behind the awesome tools over at Earlywood Designs. Brad talks about his recent experience handling an unexpected rush of orders, thanks to a press release over the holiday season that depleted his inventory and left him shorthanded in the workshop. 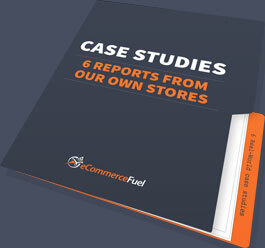 An unanticipated shortage of product is not an uncommon problem for eCommerce business owners to confront, so I thought it would be good to hear how Brad handled the experience. In this interview, he talks about the pros and cons of a surprise rush during the holiday season, how he adjusted prices during the boom, and what he would do differently next time such a rush happens. Hey guys, Andrew here, and welcome back to the eCommerceFuel podacst. Good to have you with me and good to be back on the microphone after a couple of week break. This is a little strange. It takes some getting used to, but yeah, glad to be with you again, hope you’re having a wonderful new year. Excited to bring you today’s episode with Brad Bernhart who’s a local, relatively local, Montana store owner. Not a whole lot of us out here and his company Earlywood Designs, that’s what we’re talking about here today. Specically, what happened that caused him to work pretty much for five straight weeks, seven days a week, from fifteen to sixteen, sometimes seventeen, hours a day when his business blew up due to some huge press that he got. I mean, that’s kind of the best case scenario and the worst case scenario, right? I mean, that’s such a huge opportunity, but oftentimes, when it happens, you’re just scrambling to catch up, and that was the situation of Brad, found himself in. So, we talked about how it happened, how he dealt with the surge of demand, some of the mistakes he made, how he was able to bring people in. All sorts of logistical issues that that causes, we get into those. An interesting discussion. One worth listening to. If it hasn’t happened to you yet, there’s a chance, these are some chances it’ll happen at some point. So hopefully, you can take away some insights from his experience. So, let’s go ahead and dive into my discussion with Brad. Andrew: If I dig into what happened to you over the holidays with press and your business just exploding, in the best possible sense of the term…but what, for a little context, what’s Earlywood? What do you guys do? What do you create? And how did you get into it? Brad: Well, Earlywood is my own business where I actually design and handcraft heirloom quality kitchen utensils and cutting boards. And I’ve been doing it for about…I think I’m going on three and a half, four years full-time now. And then for a couple years, as my second full-time job, I was a mechanical engineer before this. And I was actually working for a place out in Portland, Oregon, working that 40 hours a week and working Earlywood, you know, 40 or 50 hours a week on top of that until Earlywood got big enough that I just couldn’t handle it anymore. So I had to quit that one and go full-time. Andrew: And it’s beautiful stuff. Like, I’ve got some of your pieces and they’re gorgeous. I love ’em. My mom came over, who does a lot of cooking, and she…I didn’t even mention them to her. They were just on the counter. She came over and said, “Wow, these are amazing.” So if you’ve got…a little plug here for Brad’s site, not that he needs the additional sales right now…you’re probably gonna tell me to cut this out afterwards…but really, really cool stuff. Check it out. It’s very artistic and beautiful. You guys had, of course, you know…what are we talking about, just your business exploding in Christmas, during the Christmas season…everyone’s does, but yours particularly so and it was a result of some press that you had. What was the press that came out and how did you guys land it? Brad: Well, there was two or three things that kinda all hit, honestly, within a few days of each other. We were in an on-flight magazine for Alaska Horizon Airlines that was probably the smallest of the three. We were in the print version of “Allrecipes” magazine and that was only print, that was not digital at all. And then we were in the print version and on the front page of the website and on Facebook and Facebook Live and Instagram and everywhere else for “Bon Appétit,” which is kind of, you know, kinda like the Bible for people that love to cook and people that love using my kinda stuff, you know. So it was the perfect kind of a magazine to have my stuff in, and it really, you know, for the first time, got me out in front of millions of people that are totally my kind of folks as far as Earlywood goes at least, you know. You know, we landed that piece of promotion with the good old-fashioned press release. I know, you know, you hear so much about hammer this social and hammer this, do it this way, and retarget and all this stuff but this was just a good old-fashioned press release. I’ve got a girl here that works with me that does a little bit of my writing for me. And we sat down, I said, “Hey, could you just put something together?” And she put together a little two to three page, I think, email, kinda starts with an intro to Earlywood, kinda features where we’re from, some of the things we do, like we plant or we donate a dollar to replant trees in Brazil for every order we get, and some of that stuff, and then highlighted a couple of strategic products, you know, some of my own original designs, some of my most popular stuff, some of my high-margin items, and the stuff that’s the easiest to make. You know, we made it real easy for them to pick those first. And luckily, every single one of them fell for it. So we just wrote that thing up and then we sent it out to probably…we made a list of about 15 magazines and what not. And we just sent it out in an email and that was about six months before Christmas hit, you know, this is in probably June, and just start getting replies. And we got some replies from some of the bigger ones immediately like “Bon Appétit” and actually “Cooking Light,” which that one kind of fell through but we could touch on that in a second. And once we started getting some of those, we actually just kind of started turning some down, you know, because everyone seemed to be interested, like it wasn’t all that tough. I mean it just kind of made me realize that, you know, these guys, their job is to make good content for the readers. And, you know, if you serve it to ’em on a silver platter with a nice description and some good pictures and, you know, make it real easy for ’em, they will just jump all over it. Andrew: Well, I think what you had going for you too though is because those editors, those magazines, get just inundated with stuff as, like I mentioned, your stuff is gorgeous, it’s really well done. And I’m not saying that to flatter you, I’m saying that because I think if you have either a compelling story or a really interesting unique product, which yours is, that’s 90% of the battle, right? Brad: And my products don’t always…a lot of my most popular stuff, you know, they’re original designs and you just don’t see ’em everywhere. And, you know, Earlywood’s got a good story, you know. We live in this tiny little town with 2,000 people at the base in the mountains in Montana, you know. You know, to us, that seems kinda normal, but to a lotta people, that’s a little bit out there, you know. Andrew: So why turn down a press, though? That surprises me. Why would you turn down any? Were you worried about just Christmas coming and just being able to smoke everything else out or what was the rationale there? Brad: Well, the rationale was to make sure we didn’t, just to make sure we could keep up. And as we’ll get to hear in a minute, we turned down press as much as we could and turned down orders along the way for various reasons. And we still did not keep up. Andrew: Why not say, “Hey, can you run it, like…Oh, I’m sorry, maybe don’t run it between, you know, November and January, but could you run it in March?” Did you try somethin’ like that? Brad: Well, those guys are definitely on the shortlist of people I’m gonna be in touch with after the holidays. And you know, working into, maybe not next Christmas…I’ve realized, you know, the importance of leveling the sales load here and, although I probably get the most bang for my buck out of a piece of marketing that drops right at the holidays, I’m gonna shoot for getting some, you know, in the first three quarters of the year, just so I’m not making stuff, actually making product in January that I don’t sell until December, you know. 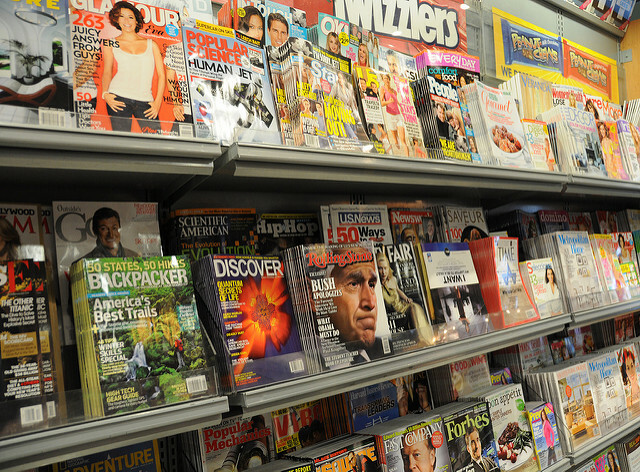 Andrew: When you pitched the press release to people, do most magazines have kind of a pitch line? Did you just figure out who the editor was? Who did you address it to and how did you find those addresses? Brad: You know, a little bit of both. I actually handed that job off to the girl that helps me with some of my writing. And she’s actually, out of just a small town coincidence, she’s a food writer and so she personally knows the names of the editors of some of these magazines and what not. And there was one or two where they had a specific email for, you know, press ideas. But for the most part, we just shot for the top. And if we could get the editor’s personal email, we went for it. And in a lotta cases, that’s who actually replied. Andrew: So Brad, I’m guessing, of course, with this you connect with these magazines. You talk about, you know, the article and they give you a sense of when it’s gonna be published. And so you know you’ve got some press coming out and some fairly large press, given the, you know, the reputation of this magazine. How do you approach trying to figure out how to prepare for this? Obviously, you might need some more staff but the biggest thing is inventory. You make all your stuff and so figuring out how to have inventory on hand on one side. You don’t wanna over, you know, buy a bunch of stuff that it takes a year and a half to clear out. But the only thing worse than that is, you know, not being able to keep up. So how did you even approach trying to guess how much to create for when the press hit? And so I got answers all over the place. I didn’t really know what to do. You know, I didn’t know what to expect, so I expected that it was gonna be better than I thought it was gonna be. That’s just kind of what I gave myself, because I’d much rather have too much product than not enough product especially when I do have to make it all…me and my team has to make it all, you know. So I was, you know, I really didn’t know what to think and I think in my head, I was like, “You know, from “Bon Appétit” I might get $40,000 worth of orders, you know. And from “Cooking Light” I might get 40 grand worth of orders.” Like I mentioned earlier, we landed the “Bon Appétit” but not the “Cooking Light” and thank goodness we didn’t because “Bon Appétit” ended up being way more than that. Andrew: Yeah, so maybe we can talk about what happened. So maybe, like, we can talk about just from an order perspective. What’s an average, you know, an average Christmas for you, season, average December? And how many orders did you get this December? Brad: My business is really cyclical, you know. I mean, like, lots of the stuff is in the $30 price point and it’s really great for gifts. So, you know, I’d say, on a typical year, I do about as much in sales in November and December as I do the other 10 months of the year. That’s a typical year. So it’s very cyclical like that. This year, I was just checking out my analytics…there was a three-day period, where over the course of three days, we did more than the first ten months of the year. In that two-month period at the end of the year, I think we were up about 8x what we do in a normal November and December. Andrew: So 8x is a result of the press…increase your business 8x almost, you know, 8x from the last year? Andrew: Okay, so in a pretty enormous jump. I mean, all sorts of problems ensued. Maybe we can talk about…but first from a stock issue…I mean, I’m guessing you weren’t planning for 8x as you mentioned, so what kind of implications did this have on your inventory and trying to keep it in stock? Like, what kind of problems did that cause and how did you deal with them? Brad: Yeah, pretty much. If you can think of it, it happens. You know, we were sittin’ there pretty good and I had about four times my normal inventory, you know, in early November and I was just ready to start selling. You know, I thought I was doing really well. Once the “Bon Appétit,” I think, once they put it right on their homepage, I went through all of that in two days. So then we had, you know, from the middle of November through two days before Christmas, that we basically were out of stock and that’s the biggest month of the year. So we had a stock problem, which quickly created a employee problem, a labor problem, and so I was out at the shop every day, myself, seven days a week for about twelve or fourteen hours a day. I have one full-time employee out there and two part-timers. They were all there, you know, at least 10 hours a day and I was literally calling everyone I know. Did I call you to come down? Brad: Oh, that’s right. And I totally would have had you come down and sand some stuff, if you had wanted to. Yeah, so I was calling everybody I knew. And, you know, we’re in a town of 2,000 people. There’s people here but everybody’s got jobs, you know. I mean I would literally call 15 people at night and I’d show up at the shop the next day and I would’ve rallied like two of ’em, you know. And so we were just, every night, callin’ everybody we could think of out to the shop. And then my wife stepped in and took over the shipping and, you know, because we were shipping about 150 orders every day. And that’s a lot more than we normally do. I think last year we maxed out at about 100 on a couple days and this year it was just 150 every day. She was pullin’ all of her friends in to help with the shipping and making certain products at the house and, you know, filling oils and lasering my logo into the product and oiling and drying and all kinds of stuff, you know. So I think, all said and done, we had about 25 to 30 friends pitch in one way or another over the month. Andrew: And in terms of your stock, what did you do? I mean, you said you ran out of stock. We’re you able to, with all of this additional manpower, were you able to keep up for the most part or did you start falling further and further behind? Because I imagine, I mean, you ship out…I mean, crankin’ through, even if you’re crankin’ out products at an incredible clip, you just got them pouring in the shopping cart at the other end. Brad: Yeah, usually when I’m out at the shop with like five other guys and we’re really crankin’ out the product, I love the feeling. But it was one of the most disheartening feelings I’ve ever had when I’m out at the shop and there’s five guys with me, so there’s six of us, just going to town on making stuff. You know, I get out there about 9:00 after sending emails and what not in the morning. And about 10:30, my wife texts and says, “We’re out of everything,” from the day before, you know. So we’re bringin’ home more product that we’ve ever brought home every single day and she’s got it all shipped by 10:00 the next day, you know. So the shipping was not limiting, the manufacturing was definitely the limiting factor. Andrew: Why not just jack up the prices? I mean it seems like a great opportunity to jack up prices on your products. So you’re shipping not only to…because it does two things, right? It gives you more margin on every single order and it also slows down the volume at a time when you can’t keep up. So why not do that? Brad: I didn’t wanna jack the prices to a temporary level and then drop ’em again. Maybe somebody else woulda done that but it just didn’t seem right to me to do that, you know. My website is now…well, my website in Amazon sort of…are the only places you can get my stuff. So, you know, and I’m the only one that sells them. So I’ve got a lot of existing customers and I just wanted to keep that consistent. I didn’t wanna, you know, raise a $29 product to $49 just because I could sell a few and then drop it back to $29 later, you know. I just didn’t quite feel right about it. And maybe that wasn’t the right decision but I did raise prices about 10% on at least on the most popular products that I was selling a ton of, the ones that were featured. And then I raised, added, a couple bucks to shipping of every package. We were making at least another five bucks on every single order, which helped, but, honestly, it didn’t even slow down orders in the slightest, it didn’t seem like. I mean I’ve never raised prices and had someone notice, period. And especially not right before Christmas, you know. So I may have undershot that, for sure. Andrew: What do you do in a situation like this? I mean it’s tricky anytime, but especially at Christmas time, where you’re in a situation where people are very time-sensitive to begin with given the holiday and they want their product because if they don’t get their kitchen utensils, their entire Christmas is gonna be ruined. You’re gonna ruin their Christmas and you’re gonna hear about it, right? So you have that to deal with and then, at the same time, your inventory is just disappearing. So how did you deal with that and what did you do when people came to the site and you didn’t have something in stock? Like, because there’s a couple different approaches you could take. You could take their order and follow…to get the sale, right, because you don’t wanna lose a sale…take the sale and be able to follow-up immediately and say, “I’m sorry, this is backordered,” which is a worse experience for the customer but that’s a lot of revenue to give up in a situation where you have a small window of press. Or on the flip side, you could say, you know, “This is out of stock,” but then you potentially might lose that potential revenue when the flood’s coming. So how did you deal with all that, because there’s a lot of different moving parts there? Brad: There definitely are and there’s a lot of different ways you can do it. The first option you mentioned, to list them as in stock knowing that they’re not and then immediately send the customer an email, I didn’t like the sound of that just because I didn’t have the manpower to deal with those emails, you know. Because I know, you just know that someone’s gonna place that order, thinking it’s in stock, immediately get their automated email, and then the next thing they do is go to info at Earlywood Designs and they email me with a specific question on when it’s gonna be back in stock. And I just felt like, I mean at that time, when we finally made a decision on how to deal with these orders we didn’t want or we couldn’t handle, rather, we were about almost a thousand orders behind. Like I mentioned, we were shippin’ about 150 a day because that’s all we could make. And you know, so if somebody placed an order even if we told them, you know, “We’ll ship it as soon as we can,” the earliest was gonna be, you know, 10 days in the future. And I didn’t wanna have every single order that came in from that point on be late. So instead, we decided to actually put the products as out-of-stock so you actually couldn’t order the product, which goes against what you were saying, which is, you know, “Get the sale.” But instead of getting’ the sale, I got the email address, which is almost as good, in my opinion. Brad: That’s exactly what I did. I think it’s called Back in Stock, I think is the name of the app. I got it off the Shopify store late one night. And so we put that up, started tracking inventory on the products, set a bunch to out-of-stock. So if you showed up, you weren’t going to get a “tricked into placing the order,” even though we didn’t have it. And it wasn’t gonna tell you that it’s not gonna ship for a week and a half, which was gonna be after Christmas. So that person could potentially leave without interacting anymore at all with the site. So we put them out of stock and used Back in Stock, that app, so somebody puts in their email and say, “I wanna get an email as soon as that product is back in.” So we got their email through that and that app allows you to put a little checkbox that says, “Hey, join our email list while you’re at it.” And about the eight days we had everything out of stock, we double the size of our email list so it wasn’t all that bad. And, you know, because my sales throughout any given year…we use Klaviyo for email marketing…and it’s maybe not quite half, but it’s dang near half of our sales come directly through emails. Andrew: One thing I remember when we met and I started learning about your business, was you have an engineering background. You went to school for engineering and you’re very systems oriented. And I loved the way you setup your production was always thinking with scalability in mind. Is this a process that I can replicate? Is this a production method that I can bring someone in and be able to get them up to speed quickly making my product? Is that something that you notice just paid off in spades when you were bringing in the bartender at your local pub and being like, “Hey, man. What’s your name again? Okay, great. I need you to make this super high end, you know, cooking utensil for me?” Did your systems work how you envisioned when you built them two years ago? Brad: They did but they had their limitations. The individual processes that I put together are very efficient. Number one and number two, they’re repeatable. So the product’s coming out…the, you know, the spatula, let’s say, or the sauté…they come out the same every time no matter who does it because the jigs and all the systems I’ve got take care of that. So that made it really easy to get, you know, the bartender and bring him in and say, “All right, these two things is what I need you to do. Do that a thousand times,” you know. And that’s no fun for anybody but it’s possible and you can crank out a ton of product that way. So the individual processes themselves, yeah, they’re efficient but not if you don’t have enough guys to do it, or girls to do it, and not if you don’t have enough space and time. So I’m still sharing a shop space with a guy who’s a custom furniture builder, and he has been for about 30 years. And I share half of our…I rent half his shop and we share the space. I couldn’t exactly just tell him to go on vacation for a month while I just crush it in the shop for 14 hours a day, you know. I mean he had to get on the table saw, he had to use clamps, he had to do some of the stuff and, although he took a real easy December and really did me a huge favor on that front, we still kinda banged up against that, you know. And it was just, you know, the jigs are…and the way I’ve got the processes set up, they’re great for manufacturing and they can handle a jump in production, but not this big. I mean we woulda needed more space, twice, you know…we woulda had to double all the tools. Andrew: I mean looking forward…obviously you’re still in the afterglow of press. Well, actually, that’s a good question. How much of a duration has this had in terms of the spike in your business? Has it tapered way off now that we’re in, you know, the new year or is it still going really strong? Brad: It’s still going quite strong. Like I said, we put certain products out-of-stock and I think probably about a third, if not a little bit more, of our entire website is still marked as out-of-stock, just because we haven’t been able to make the product to put ’em back in stock. So we’re still getting emails there, so that’s good. But, you know, even with all that stuff out of stock, sales were probably, you know, it’s a lower number but we’re probably 10x, you know, since Christmas, over what we were last year. Andrew: What does that make you think about, I mean, looking forward? Obviously you probably won’t, you know, you’re not gonna maintain those December levels and things will plateau as the press kinda gets further and further away. But, I’m guessing, it sounds like it was big enough where it’s gonna take your business to kind of another level. What have you learned from this experience that you’re gonna work into your business long-term? What long-term changes are you gonna make as a result of just such a crazy December? Brad: Well, one thing, I need a new space, need a bigger shop. I can’t have that limit me, you know, access to tools and things like that. But the thing that it pointed out the most was, you know, I’ve always been a big fan of the term, “Work on your business not for your business,” and I just got slapped in the face all December long realizing that, “Hey, I’m working for my business big time right now,” you know. I really need to concentrate on SOPs, those standard operating procedures…that’s what that stands for, right? A lotta SOPs, document my processes, and I just need to really work on obsoleting myself way more than I already am because there’s, you know…for the whole month, I got stuck doing…I did nothing but the stuff that only I can do. And there’s still too many things that only I can do out at the manufacturing site. And then I mean, I guess, a lot of people can do customer service. I just haven’t taken the time to give somebody the training on it and pass the buck. So I really need to step back and make myself a little less involved. Andrew: Got it, Brad. It’s cool hearing about this. And I know it was a little bit of a masochistic December for you and you’re probably glad to be out of it. But congratulations on, you know, a landmark Christmas season and movin’ so much product. It’s cool to see even though, I’m sure, it was painful at times. And before we wrap up completely, we’d love to do a lightning round with ya, if you’re game, just a couple quick questions. They can be super-fast answers, five to ten seconds, but just kinda fun to see people’s different perspectives on things. So, for you, how much money is enough? What would be your number? Brad: I would say the number is whatever it takes to not run out because money is only a big deal when you don’t have it. Andrew: Right. So I’m gonna pin you down a little bit harder. Let’s say you have x amount of money in the bank and, not that you’d never work again, but if you had it in there, you’d feel comfortable…if you couldn’t work again, you’d be okay. Brad: If I couldn’t work again, let’s say, two million. Andrew: Two million, nice. How many hours per week do you work right now? Brad: I would say, not including the last couple months, about 60, let’s say. Andrew: Sixty. How many hours were you workin’ in December, just out of curiosity? Brad: I was workin’ 14 to 16 hours a day, 7 days a week. So I was, you know, whatever that is, 100, 110 hours a week and did not take a day off for 5 or 6 weeks straight. I took a nap right before this. I’m still recovering, man. I just feel like I wanna sleep all the time. Andrew: Yeah, you should give out your address so people will just inundate you with 5-Hour Energy drinks. Brad: Yeah, that’d be nice. Brad: I think it’s either gonna be artificial intelligence, or it’s gonna be a virus, or it’s gonna be a meteor, but I don’t think any of those are overly likely. Andrew: If you had to leave your current job, you had to leave Earlywood, you can’t work for Earlywood anymore, you can’t even be an entrepreneur, you have to work for a company, but you can pick the company and the role that you could work for, who would it be? Brad: Specific company? I’m not 100% sure, but I would have to be a helicopter skiing guide up in Northern Canada somewhere. Andrew: Good answer. I like that one. Brad: Oh, man. That’s a tough one. I guess the answer to that is, what discretionary income? You know, my wife and I are still, you know, we’re still trying to pay off some debt and some school debt and things like that. So we’re keeping our discretionary income pretty tight, you know. You know, it’s like I bought some suede wool socks the other day, I don’t know, and I was really excited about that, you know. Andrew: Okay, the final question. Assuming you could live anywhere in the world and cap or cost, practicality, and your current community, weren’t an issue…your whole family would be transplanted, you wouldn’t have to pay for your rent…so solely about the location, where would you live? Brad: I’m going with Southern Island in New Zealand. Brad: Yeah. Lots of skiin’, lots of fishin’, lots of surfin’…nice people. I think I can handle that for a while. Andrew: Brad, love hearing the story again. Congrats on a crazy, crazy December. And, like I mentioned at the top, if you’re into cooking at all or just love looking at beautifully designed products, Earlywood Designs is the name of the website…earlywooddesigns.com…design or designs? Andrew: Designs, plural. Thank you. Earlywooddesigns.com. Go check him out. Let’s add to Brad’s problem here of production, collectively. Brad, hey, thanks so much for comin’ on. I’m looking forward to seeing you again soon, man. Brad: You betcha, Andrew. Thanks a lot. Andrew: Want to connect with and learn from other proven e-commerce entrepreneurs? Join us in the eCommerceFuel private community. It’s our tight-knit vetted group for storeowners with at least a quarter-million dollars in annual sales. You can learn more and apply for membership at ecommercefuel.com. Thanks so much for listening and I’m looking forward to seeing you again next time.